Meet the Most Inspiring Companies of 2018. If entrepreneurs are the lifeblood of an economy, consider Inc.’s ranking of 5,000 companies America’s circulatory system. Our annual report looks at these fast-growing innovators–and how they made our list. ES Squared LLC was ranked #465 of 5000 companies nationwide. Also we were ranked #5 of all “Engineering” companies and #15 of the companies in the Dallas/Fort Worth area. Louisiana State University (LSU) has announced the list of the seventh annual LSU 100: Fastest Growing Tiger Businesses. The LSU 100 is a highly competitive program that identifies, recognizes and celebrates the 100 fastest growing LSU graduate-owned or LSU graduate-led businesses in the world. Honorees will be recognized at a gala to be held at L’Auberge Casino Hotel on Thursday, Oct. 5, 2017 in Baton Rouge. ES Squared LLC was honored as one of the top (5) of the top 100 Tiger businesses. ES Squared is now both HUBZOne & 8(a) certified by the SBA. The Historically Underutilized Business Zones (HUBZone) program helps small businesses in urban and rural communities gain preferential access to federal procurement opportunities. ES Squared has been awarded the SBA 8(a) certification. The 8(a) Business Development Program is an effective tool for providing small businesses with support to help them compete for and win federal government contracts, and in turn put them in the best possible position to drive economic growth and create jobs. Learn more about the SBA 8(a) program. 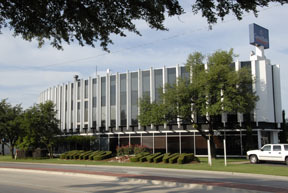 ES Squared has relocated our corporate offices to 530 S. Carrier Parkway Suite 530 Grand Prairie, Texas 75051. We are located in the Grand Bank building near the Hwy 161 at Jefferson. Come visit at your earliest convenience.